“Do you have any other ideas?” With these words my endlessly patient agent ended his explanation of why the book proposal his naive new client had devoted the best part of a year to wasn’t generating sufficient interest among publishers. Sure, they admired my writing style and found my subject compelling but, and I’m paraphrasing here, in the cut-throat world of bookselling, they considered my biography of Harriet Shelley, tragic first wife of poet Percy Bysshe Shelley, too niche to take a punt on. 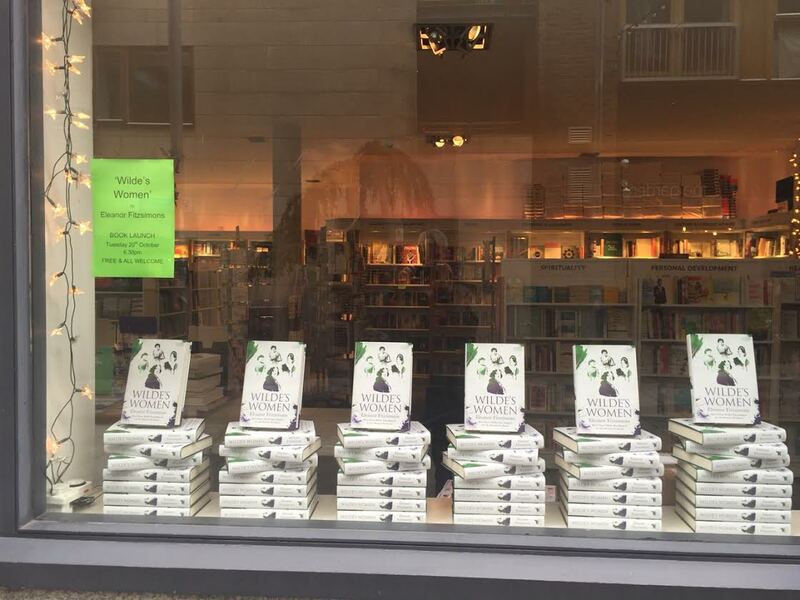 It felt at that moment as if the heady days of securing representation, winning a couple of literary prizes and dreaming of one day holding a book in my hands that had my name on the cover had come to an end. But nobody likes to leave an uncomfortable silence and it seemed impolite, if not downright remiss, to admit to having no more ideas at all. And so it was that I blurted out the words “Wilde” and “women”. What was I thinking? Why would anyone in their right mind choose to write yet another book about Oscar Wilde? Well, unlike poor Harriet, he is universally renowned. Think about it. Not a single day goes by in this, the country of his birth, and in most other countries, without some broadcaster or columnist channelling Wilde’s wit, some theatre director reprising one of his sharp social comedies, or some aspirant author pitching a book about the minutiae of his life. Why shouldn’t I join them? I have always found, and find today, his [Wilde’s] warmest admirers among women. He, in his turn, admired women. I never heard him say anything disparaging about any woman, even when some of them required such treatment! Ever since I first encountered Lady Jane Wilde, Oscar’s flamboyant mother and an enduring heroine in his native Ireland, I’ve been intrigued by the influence she had on her son’s life and work. Jane was a poet, a revolutionary, a feminist and a lifelong campaigner for better access to education for women. She was also an incorrigible snob and a brilliant conversationalist whose Saturday conversazione and literary Wednesdays were always packed. She never doubted the genius of her sons and her wholehearted support may have made them reckless. Far too little has been written about Wilde’s first love, Florence Balcombe, who left him for Bram Stoker and fought tenaciously to secure her rights to her husband’s literary estate. Best remembered for her beauty, she was described by writer Horace Wyndham as “a charming woman and brim full of Irish wit and impulsiveness”. Wilde found brief happiness and stability with his wife, Constance, mother to his two beloved sons. Beautiful, accomplished, politically active and hugely supportive of her brilliant husband, she did her best to stand by him until the end of her heartbreakingly short life. As an individualist, Wilde believed that few limits should be placed on anyone’s life. He chose as some of his closest friends, freethinking women who challenged conventional gender roles and pushed their way into the public sphere, ignoring the tut-tutting of a society determined to keep them down. He traded witticisms with these women, promoted their work, collaborated with them on theatrical productions, dedicated stories to them and drew inspiration from their lives. Several of his most outspoken and memorable characters are women: Lady Bracknell in The Importance of Being Ernest, Mrs Erlynne in Lady Windermere’s Fan, Mrs Allonby in A Woman of No Importance. While some of Wilde’s friends, Lillie Langtry, Ellen Terry and Sarah Bernhardt, are household names, he also engendered extraordinary loyalty in women who are largely forgotten: witty and vivacious Ada Leverson, who inspired his sparkling dialogue; and kind-hearted Henrietta Vaughan Stannard, who published bestselling novels as John Strange Winter and invented her own line of cosmetics. When Wilde toured America, society women paved his way. When he edited The Woman’s World, a progressive women’s magazine, he invited contributions from feminist campaigners and leading thinkers on gender. At Oxford, Wilde dedicated his Newdigate Prize winning poem, Ravenna, to George Fleming, nom de plume of playwright and novelist Julia Constance Fletcher; he admitted that he was “attracted by her in every way”. He gave renowned feminist and pacifist Helena Swanwick her start in journalism and she wrote of him: “His extravaganzas had no end, his invention was inexhaustible, and everything he said was full of joy and energy”. In the upper reaches of English society it was not the men, who mostly did not like him, who made his success, but the women. He was too far from the familiar type of the men. He did not shoot or hunt or play cards; he had wit, and took the trouble to talk and be entertaining. Yet many of these women distanced themselves after he was imprisoned and poet Alice Meynell, formerly an admirer, declared “while there is a weak omnibus horse at work or a hungry cat I am not going to spend feeling on Oscar”. The women in Wilde’s Women are deserving of at least one book each, and in some instances these biographies exist. Their lives are fascinating and fraught with the challenges of operating in an oppressively patriarchal world. By examining them collectively in terms of their relationship to Wilde, I hope to bring them to the attention of a new readership, and to expose a neglected facet of the most-talked-about man in the world. If you were asked to name a man you would not readily associate with women, Oscar Wilde might spring to mind. Due to the relentless focus on his sexuality and the magnitude of the injustice perpetrated against him, Wilde’s life is often examined in terms of his relationships with men. Of course, as the second son of the sharp-witted Lady Jane Wilde, how could Oscar be anything but admiring and supportive of strong women? As Speranza, Oscar’s mother became a celebrity long before her son. A revolutionary poet and essayist, an accomplished translator, and a quixotic campaigner for women’s rights, she also insisted that a loyal wife should accommodate her husband’s indiscretions. Wilde’s life was not short on tragedy and the first of these was the loss of his beloved sister Isola, probably to meningitis, when he was twelve years old and she was not quite ten. The Wilde family was devastated by this loss. Jane had described her daughter as ‘the radiant angel of our home – and so bright and strong and joyous’ and Oscar treasured a lock of her hair until the day he died. What of romance? Wilde is a gay icon and appears to have been attracted exclusively to men for much of his life, yet as a young man he was involved with several women. His first girlfriend, the extraordinarily beautiful and vivacious Florence Balcombe, dropped him to marry fellow Dubliner Bram Stoker, author of Dracula. The letters and poems he sent her during their two year courtship demonstrate a depth of feeling that might surprise those who believe his only love was Lord Alfred Douglas. Aged twenty-nine, Wilde married Constance Lloyd, mother to his beloved sons, Cyril and Vyvyan. Although far less flamboyant than her husband, Constance was highly accomplished, politically active and hugely supportive of him. She was devastated by his infidelity, but did everything she could to help him after his arrest. Wilde loved Constance dearly for a time and he mourned her when she died. 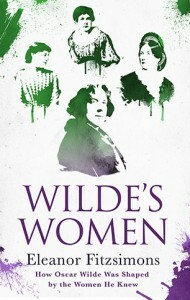 Throughout his life, Wilde promoted progressive women. Most notable perhaps are the two years he spent editingThe Woman’s World, which he transformed into ‘the recognised organ for the expression of women’s opinions on all subjects of literature, art, and modern life’. He commissioned leading thinkers and campaigners on gender and women’s rights to explore topics that included access to education and the professions, and voting rights for women. In his monthly ‘Literary and Other Notes’, he enthused about women writers. Every play Wilde wrote, from Vera, his very first, to The Importance of Being Earnest, which had the working title Lady Lancing, was named for a woman in early drafts. Most feature iconic women characters: Mrs. Erlynne in Lady Windermere’s Fan, Mrs. Allonby in A Woman of No Importance, Lady Bracknell in The Importance of Being Earnest. Through his social comedies, he exposed the deep-rooted hypocrisy that prevailed in patriarchal Victorian society, reserving his most biting commentary for puritanical women who insisted that the strictures imposed on them be applied equally to men. Wilde’s favourite of his plays, according to his friend Ada Leverson, was Salomé. He dreamed of seeing Sarah Bernhardt play the eponymous princess but, sadly, never did. An ambitious outsider, Wilde understood the importance of befriending society women who presided over the most fashionable and influential drawing rooms in London and beyond. He cultivated friendships with free-thinking, enterprising and intelligent women like Lillie Langtry, one time mistress of the Prince of Wales, and Ellen Terry, one of the most acclaimed actresses of the day, and he delighted aristocratic women with his stories, which he dedicated to them. Nowhere was the support of powerful women more important than in America, where dozens of wealthy and influential women who delighted in his compelling personality promoted him with enthusiasm. Wilde provoked extraordinary loyalty in women who are largely forgotten today: witty author and satirist Ada Leverson, and the extraordinarily generous Adela Schuster, who funded him after he was imprisoned. He collaborated on a poem with Polish actress Helena Modjeska, who had fled political persecution, and funded American actress Elizabeth Robbins when she brought the plays of Ibsen to England and staged them herself. He harnessed the epigrammatic language used by women like the extraordinarily popular but largely forgotten novelist Ouida and his work was often compared to hers. When his popularity was at its height, Wilde was fêted and adored by women from every walk of life. Yet many of them abandoned him during the few years that remained to him after he was released from prison. Many of the warmest and most revealing accounts of him were written by women who remained loyal to the end. 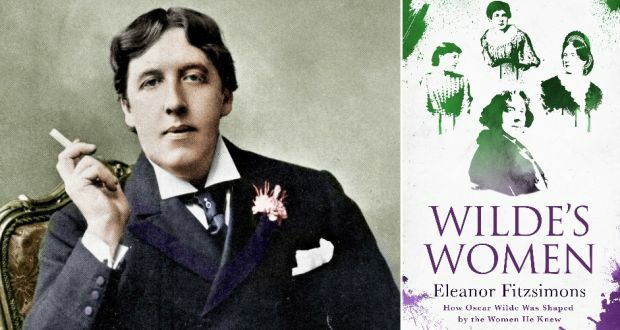 Rather than treating Wilde as a brilliant but broken man who paid the highest price for being who he was, we should remember him as feminist and pacifist Helena Swanwick did: ‘His extravaganzas had no end, his invention was inexhaustible, and everything he said was full of joy and energy’. Eleanor Fitzsimons is a researcher, writer and journalist specialising in historical and current feminist issues. She has an MA in Women, Gender and Society from University College Dublin. In 2013, she won the Keats-Shelley Essay Prize with her essay ‘The Shelleys in Ireland’ and she is a contributor to the Romanticism Blog. Her work has been published in a range of newspapers and journals including The Irish Times, the Guardian, History Ireland andHistory Today. She is a regular radio and television contributor. 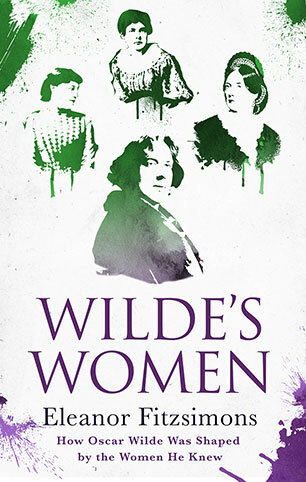 Her first book, Wilde’s Women will be published by Duckworth Overlook on 16 October 2015.